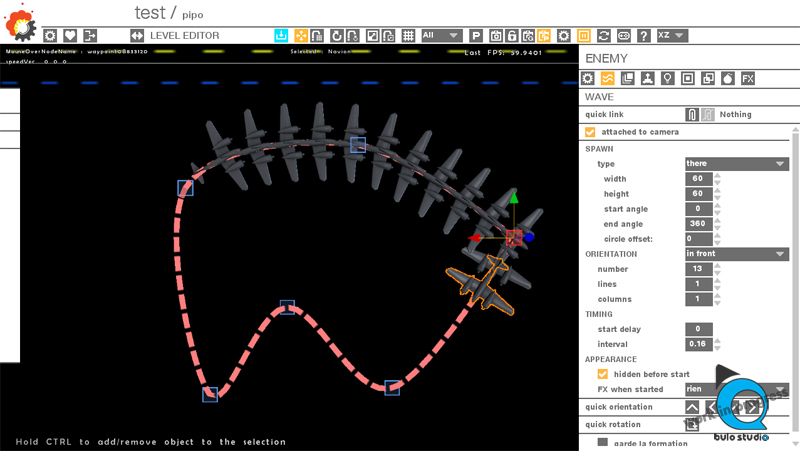 The shmup Creator offers the choice to use a precise and predictable curve animation, using splines to move the enemies. Splines are great :the user can create some points, move them, and play with curves very quickly and visually. There are a lot of tutorials and articles on the subject, which is good, as the maths behind them are way beyond my grasp! But I’ll talk about some of the issues I encountered when I implemented them, and the solutions I found.
. Which type of splines ? There are a gazillions of splines algorithms out there. The most all around type of spline, in my opinion, is the Catmull-Rom spline. Unlike the bezier splines, the Catmull-Rom curve is really following the control points, and I found it easier to predict his shape this way. 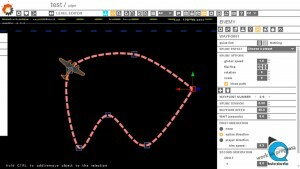 It’s also easy to modify the spline tension of the entire curve (which, by default, is 0.5), to create straight lines, or more or less curvy paths. Each point can have a position and a tension, and therefore it’s really easy to control the look of the curve, and the path of the enemy. For ease of use, I force a tension of 0 (straight) for the first and last point of the curve, to avoid unwanted small bumps. There is also the possibility to close the spline and to loop the path (and in this case, I’m not forcing the 0 tension at the extremities) . When we tried to move an enemy on this spline, we quickly discovered that it was not moving at a constant speed. 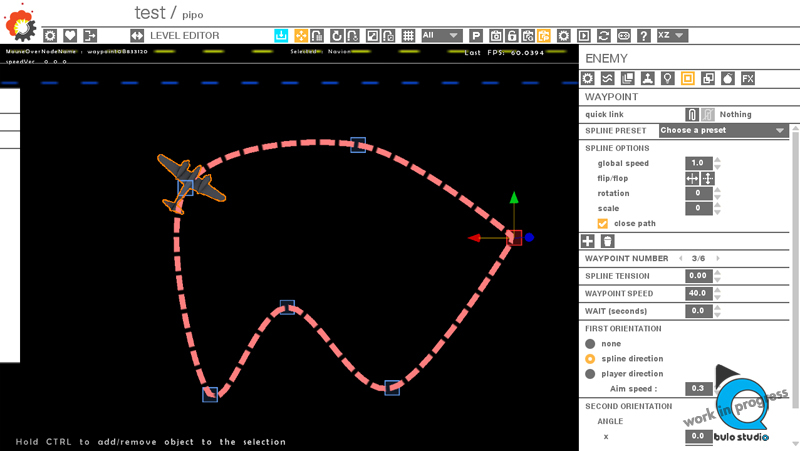 The enemy was slowing down and speeding up depending of the curve shape. And we couldn’t at all control the speed (like having an object moving at 5m second) because this speed was dependent of the curve. The solution to this problem is called arc-length re-parameterization. Behind this barbaric name is a way to store distances in a look-up table to have informations about the real distance of the curve when we are doing the interpolation. It’s a really informative and well written piece, so I encourage everyone interested in the subject to read it. 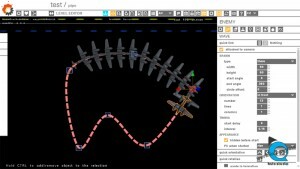 Everything is easy and fun to use, and is really graphic, which is the main idea behind our tool. And, as always, pay us a visit on twitter! Hi, friends! How much costs this tool? I’m very interested on it! After the alpha we’ll start to think about pricing. Thanks, man! I’m a noob developer, and I’m one of four editors of blog “FILOSOFIA SHMUP/TASBPAN”, specialized on SHOOTER GAMES. I’d like to show your tool when it be released :) . Please acess http://www.filosofiashmup.blogspot.com and check other news about shmups!